What’s the first thing that comes to mind when you think of boat shoes? For many men, it’s the thought of summer, or chilling out on a lazy afternoon with friends, or the freedom of not wearing dress shoes or boots. Whatever image they may conjure, boat shoes are a popular form of men’s footwear and have been for some time. There are plenty of candidates for the best boat shoes for men – including the iconic Sperry Original – and you want to be ready when warmer weather comes and it’s time to enjoy life a little. The following is a closer look at men’s boat shoes, including reviews of our 11 favorites. Let’s start with some boat shoe-buying tips. Most boat shoes consist of leather, although you’ll also find them made from canvas and other materials. Leather is the preferred option of many men, however, but not all leather is quite the same. “Full-grain” means the leather was left unsanded during the tanning process. Full-grain cow leather is a premium option and comes from a part of the skin that has almost no defects (which is why sanding wasn’t necessary). Many men and women love suede for its look and texture and it’s a common material used to make shoes. Suede comes from the inner layer of the animal skin – usually calfskin – and sanded from the inner side to allow for a smoother, cleaner final product. While many would-be buyers think that water ruins suede shoes, they can survive some moisture – although it’s not advisable to slosh through rain puddles when wearing them. Nubuck comes from the outer layer of the skin, again, typically calfskin, which makes it more durable and resistant to wear and tear than suede, at least in theory. You may notice more imperfections in nubuck leather, because it’s sanded from the outside, but some buyers believe that the imperfections add to the shoes’ character. To each his own. Again, other types of material, such as canvas, are used in the construction of boat shoes, but leather is more durable. No shoe is worth the money, or penny-pinching, if it doesn’t fit. Boat shoes are no exception and you may find that they fit differently than regular shoes. For one, many people wear boat shoes without socks, which affects the fit, for another, they tend to stretch out and become a bit looser the longer you wear them. With the latter in mind, you may want to pick a boat shoe that fits a bit snug, but not too snug, because they’ll eventually provide a perfect fit without snugness. Decide whether you’re going to wear them with or without socks, or both, and size them accordingly. You don’t want too loose of a fit because, A) the shoes will stretch out a little anyway, and B) a loose heel can lead to blisters. If possible, have a knowledgeable shoe seller size your feet before trying on boat shoes; you may find that one foot is longer or shorter than the other. 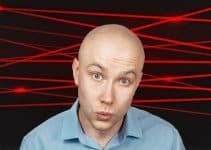 Also, take your time and walk around in them for several minutes to make sure there aren’t loose spots or areas which pinch your feet excessively. 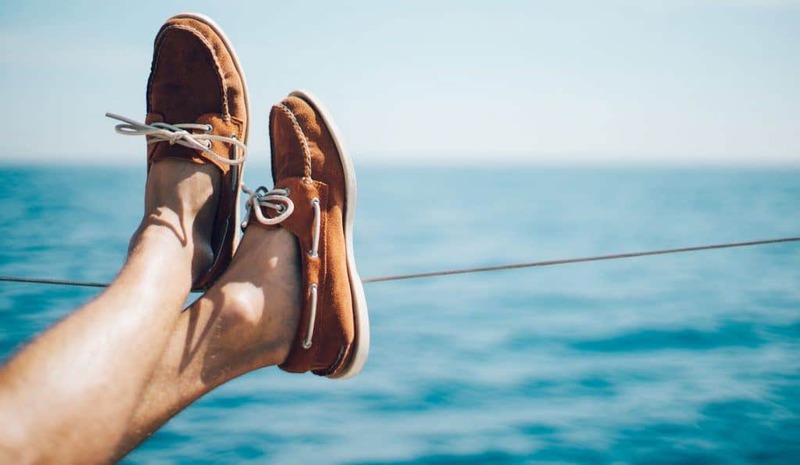 The sole was of utmost importance when the first boat shoes hit the market, thanks to Paul Sperry in 1935, because the intended use of the shoes was for maneuvering around on a slippery boat deck. Rubber was the best choice of sole material for navigating wet surfaces, and remains the sole of choice on boat shoes today. One feature you want to look for in a boat shoe’s sole is something called “siping.” Siping refers to a classic, wave-like pattern of grooves that provides superior traction on slippery surfaces while pushing water away from the shoe. Some boat shoes offer a variation of this design, such as molded siping that consists of raised rubber mounds and grooves that drain water. Many boat shoes feature water-wicking uppers that help keep them as dry as possible. Leather uppers don’t dry as quickly as those made from synthetic materials but it’s hard to beat leather for overall comfort and design. A good pair of boat shoes usually features a padded and cushioned tongue (and insole) that helps provide additional comfort. 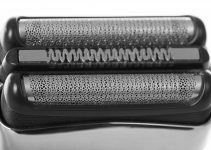 A soft leather insole is typically more comfortable that insoles made of other materials, but a mesh insole will allow for better draining. Some shoes have drainage holes built into them. Removable insoles allow the shoe to dry faster after they’re taken out. Most boat shoes include an elevated heel but some brands, not many, feature heel-less soles. Think carefully about how you plan to use your boat shoes. Primarily for walking around on a boat deck? That’s an obvious, common reason to wear them, but you also need to be careful not to get them too wet, i.e., consistent submersion in water will destroy the leather. That’s why they’re not an ideal option for rafting, hiking, or tubing. You’ll love how boat shoes feel when you’re casually strolling around the streets of a town, or on a pier, but don’t let their comfort seduce you into thinking that they’d make great walking shoes. While their traction is good, it’s not the kind of traction (or support) you need for navigating uneven or rocky terrain. Next, let’s take a look at our list of the best boat shoes for men in 2019. Let’s begin with the source. Sperry is the original boat shoe, thanks to the aforementioned Paul Sperry, and its Authentic Original comes from Sperry’s first design, albeit with some slight modifications. Make no mistake – Sperry is a brand that’s as synonymous with boat shoes as Brazil is to soccer; you get the picture. One of the reasons Sperry makes few changes to its original design is because of the adage, “If it’s not broke, don’t fix it.” The Authentic Original shoe retains its original look, as well as a functional design that features non-marking rubber outsoles, genuine leather, and razor-cut wave siping soles that provide superior traction on wet or dry surfaces. Further comfort comes from a shock-absorbing EVA heel cup and an Ortholite underfoot cushioning that enhances shock absorption. The beveled heel offers excellent stability whether you’re balancing against a deck rail or walking on an uneven surface. Meanwhile, the moccasin-stitched toe adds some nice flair to the overall design. The Authentic Original also comes with rustproof eyelets and genuine rawhide laces. Sperry’s signature boat shoes pairs well with a variety of outfits, both casual and a bit dressier. Sperry’s Authentic Original remains the go-to option for many boat shoe wearers, and with good reason. Long live the king. Like the Sperry Authentic Original, Sebago’s Docksides Boat Shoe hasn’t changed much over the years. Then again, like the Authentic Original, there hasn’t been a need to change it because it remains one the best and most comfortable boat shoes around. Made from 100% leather, Sebago’s Docksides shoe combines style with performance. Style comes, in part, from excellent construction and attention to detail. The waxy brown leather upper has careful, sturdy stitching, and comes from a single piece of quality leather. The shoe sits on a slip-resistant sole that has excellent traction on a variety of terrains. Sebago takes pride in how their shoes adapt to the environment, whether the environment is a slippery boat deck or a city street. You’ll also like the Docksides’ molded EVA foam insole and the comfort it provides, as well as non-corrosive “sport” brass eyelets that can handle the elements. There’s a lot of craftsmanship that goes into Sebago’s boat shoes and many people prefer them over all others, including Sperry’s Authentic Original. They’re sturdy, stable, and look good. When people think of Timberland they often think of hiking boots. That’s no surprise when you consider that Timberland makes some of the best hiking boots around, but there’s also no reason to ignore Timberland’s top-quality boat shoes, either. These boat shoes have the familiar laid-back but durable feel of Timberland’s hiking boots and are appropriate for leisure or more strenuous outings, such as serving on the crew of a racing yacht when the waters get rough. 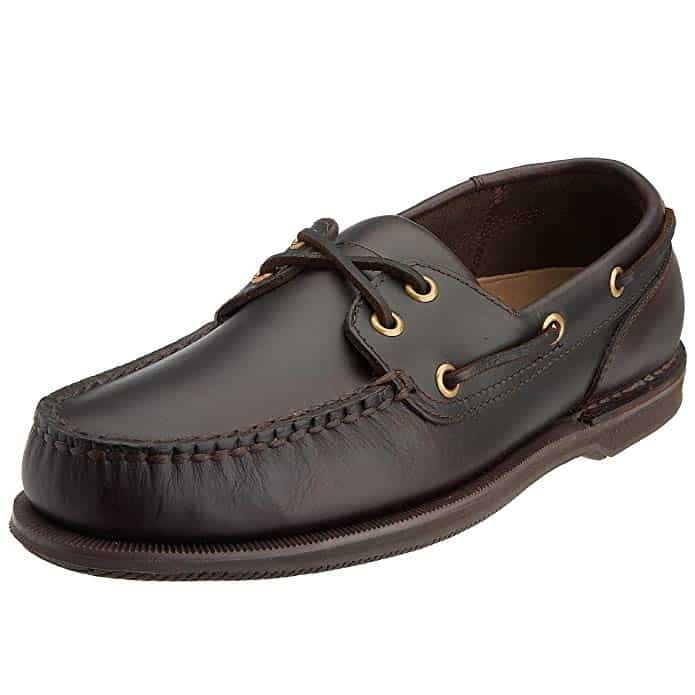 The Classic 2-Eye Boat Shoe consists of full-grain and nubuck leather uppers that offer both comfort and durability that’s unmatched by many other boat shoe manufacturers. Their 360-degree lacing system helps to provide a comfortable, custom fit. They also come with siped rubber outsoles for maximum slip-resistance and traction and a leather-lined footbed. The moccasin toe and rawhide lacing help contribute to an overall sporty look. What’s good for the trail is also good for the deck, at least when it comes to Timberland’s signature boat shoe. You can depend on the durability and stability that come from these cool boat shoes. Rockport insists that the perfect shoe doesn’t exist but that they’ll try damn hard to create the first one. That’s part of the reason why they’ve been the favorite choice of shoe lovers since 1971, when they became one of the first companies to incorporate athletic-shoe technology into casual and dress shoes. Another reason is the lightweight comfort that Rockport’s casual shoes all share, including their Men’s Perth Boat Shoes. The latter is suitable for a variety of occasions and terrains. They also look good thanks to a nautical flair that includes a leather upper with decorative side lacing. The Perth’s textured rubber soles provide traction and easy navigation, while the dark brown leather upper provides a nice contrast to the shoe’s brass eyelets. You can wear them with just about any choice of casual clothing, whether its jeans, chinos, or shorts. It’s hard to go wrong with Rockport’s Perth Boat Shoes, especially when you consider a lower price tag than many other shoes of lesser quality. It’s a comfortable shoe that should last you a long time. The Dockers brand is all about casual, authentic, and stylish apparel and many, many men either wear or have worn Dockers’ pants. 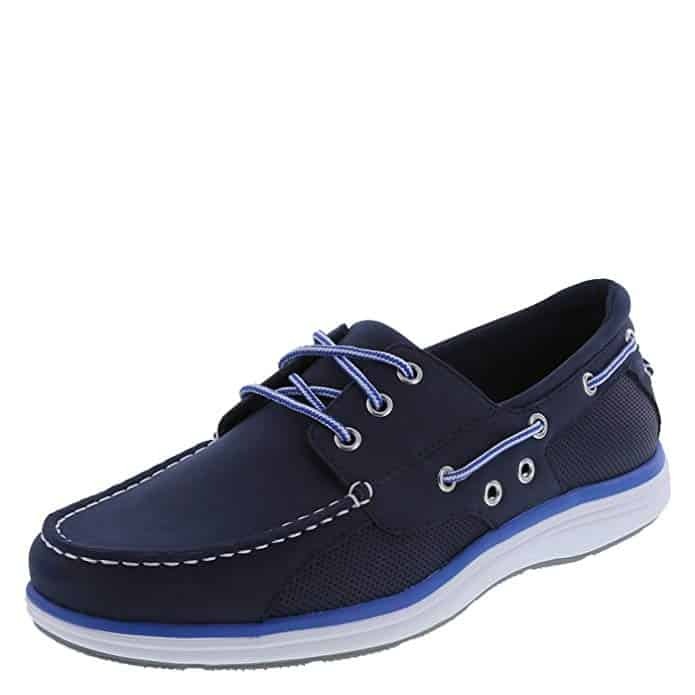 But you don’t want to overlook Dockers’ footwear, including their Men’s Castaway Leather Casual boat shoes. The latter provides the same comfort that you’d expect from the Dockers brand and pair well with a wide variety of casual clothes. They come with a flexible full-grain leather upper that’s handsewn for more flexible construction. They also have a cushioned EVA footbed and a durable rubber outsole for maximum support and traction on wet (or non-wet) surfaces, and rust-resistant eyelets. It’s hard not to recognize the Dockers brand – unless you’ve been living in a cave the last 30 years or so – and it’s a company you can trust to deliver comfortable, stylish casual apparel and footwear. Men sweat. At least most men do, that is, and for many of them sweaty feet are part of the equation. Did you know, for example, that men’s feet produce half a pint of moisture per day? We only mention it because many men wear boat shoes without socks, which means their feet sweat inside the shoe without much of a barrier. In turn, that can produce bacteria that turns into a less-than-pleasant odor which rivals any other sort of man funk. While you can’t blame your shoes, you can allow them to give you an assist in the sweat and stink department. Sperry’s Top-Sider Billfish Ultralite shoes are the best boat shoes for sweaty feet because they’re extremely lightweight. The Billfish Ultralite conforms to your feet without suffocating them and features a non-marking rubber sole that provides the traction you need while maneuvering around a boat deck or other summer destination. Like all Top-Siders, the Billfish Ultralite consists of 100% genuine leather and has a slotted collar, as wells as moccasin stitching at the toe. And, as always, you get a fine shoe from the source of all boat shoes. If your feet sweat, you owe it to yourself to find a boat shoe that helps alleviate the problem without sacrificing quality in other areas. The Top-Side Billfish Ultralite provides everything you need. More than anything, boat shoes should provide traction on a boat deck. That’s how they got their name, after all. But not all boats shoes are the same, including when it comes to traction. Columbia’s PFG Bahama Vent Slip-On offers a ton of traction, whether you’re on deck or land. It also includes other features, such as a lightweight feel and overall comfort that make it one of the best shoes for fishing – especially when you spend a lot of time on your feet when fishing, or during any other outdoor activity. The PFG Bahama consists of an upper assembled from canvas and leather and provides excellent airflow for better breathability and overall comfort. It even looks like a traditional water shoe and has some of the same attributes, including how well it drains and disperses water. You can even wear it in the water without the feeling of excess sogginess that you experience in some other boat shoes. It’s also made with a thinner material that makes it easy to slip on and off, while the Techlite midsole provides plenty of cushion without adding extra weight to the shoe. The Columbia PFG Bahama Vent Slip-On keeps your feet comfortable while giving you all the traction you need, whether on a bosat deck or any other terrain. There are plenty of reasons we include Dexter’s Benton Boat Shoe on our list, including overall comfort. And comfort, in this case, comes from a memory foam sole that helps this shoe rank among the best men’s boat shoes with arch support. But there’s more to like about these shoes: a mesh lining that provides excellent breathability, a lightweight (rubber) outsole textured for grip and stability, and overall comfort. The Benton Boat Shoes consist of synthetic material and not leather, but has a nice suede/leather look that pairs well with casual clothing. While some reviewers say it takes some time to break these shoes in, you’ll love how they feel after you’ve worn them a few times. The Benton Boat Shoe has all the features you’d expect in a quality boat shoe, not the least of which is superior arch-support and overall comfort. With a name like Margaritaville, it’s hard not to think about kicking back on a boat or hanging around the barbecue and enjoying a few drinks under a gentle summer sun. You might as well have shoes that fit the occasion and the Margaritaville Men’s Anchor Lace Boat Shoe is everything Jimmy Buffet and like-minded men could want. Margaritaville footwear specializes in casual, beach apparel and their Anchor Lace Boat Shoe shows a commitment to excellence and superior quality. There’s no question that it’s a casual shoe meant for chilling with friends and not stressing in the workplace but, hey, boat shoes are supposed to be casual. 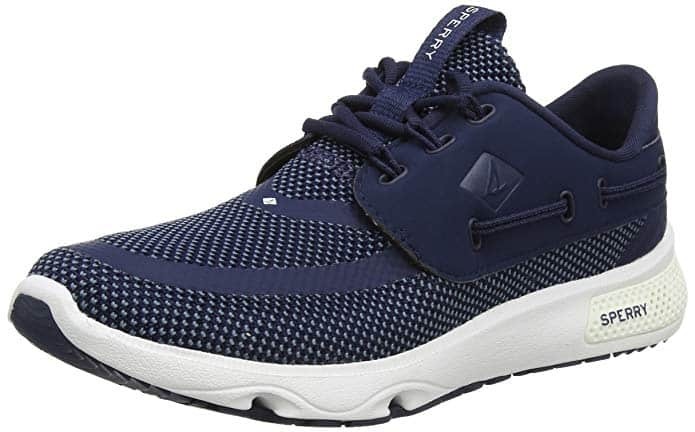 They also have a lot else going for them besides their casual look and feel, including a breathable mesh upper and perforated footbed for excellent ventilation. Your feet will stay as cool and relaxed as you feel while you kick back with a cocktail. There’s also a foam insole that makes your feet nice and comfortable, while additional comfort comes from a soft padded collar and tongue. Not to mention, they consist of 100% leather and include a colorfully printed anchor on the outsole for excellent styling. There’s no need to take life so seriously all the time. Why not take some time to kick back, throw on a pair of Margaritaville boat shoes, and enjoy the ride? What – another shoe from Sperry? Why not? They know a thing or two about high-quality boat shoes for men, after all, and their 7 Seas 3-Eye Boating Shoe is better than most other shoes out there. What helps set this shoe apart from the others? A lot of things, actually, including a non-marking rubber outsole that offers excellent traction. It’s a sole with razor-cut siping that gives you security and stability on wet surfaces. They also include Terrain Traction Pods for superior grip on any type of surface, wet or dry. Sperry’s 360-degree lacing system helps create a secure fit as does the 3-Eye Boating Shoe’s MocFit construction which cradles your foot with a minimalist, lightweight feel. Their design also includes a hydrophobic mesh that helps drain water quickly and efficiently. Finally, there’s Sperry’s SeaBound integrated energy return system that offers additional underfoot cushioning. The technology is said to reduce shock by up to 30 percent. Sperry hits another one out of the ballpark with their 7 Seas 3-Eye Boating Shoe. The shoe not only looks good, but offers superior technology and traction that are mainstays in everything Sperry does. Tommy Hilfiger knows a thing or two about fashion, and there’s no reason why a pair of boat shoes designed for chilling out on a summer day shouldn’t look good, too. And that’s only one reason why to like TH’s Bowman Boat Shoe. The Bowman comes in a vast array of colors and designs that enable it to pair with all kinds of hip casual clothes, whether it’s polo shirts, oxfords, chinos, what have you. They’re also made from 100% leather and have a rubber sole – just what you’d expect from a boat shoe. And they’re lightweight, which we think you’ll like, as well. Fashionable, lightweight, comfortable – the Tommy Hilfiger Bowman boat shoe has a lot going for it. If you want to “dress up” your casual summer wardrobe, these shoes are for you. One way to wear boat shoes is, as their name so obviously suggests, is on a boat. That’s why they come with rubber soles that provide excellent traction on slippery surfaces while also dispersing moisture away from the center of the sole. But boat shoes have a variety of uses, including as everyday wear even when the nearest boat is hundreds of miles away. You can use them in place of your loafers and sneakers and they make an ideal summer shoe whether you’re taking a stroll through your favorite town or village, or walking along your favorite pier. The issue of whether a man should wear socks or go sockless in boat shoes is worthy of much debate. The general rule of thumb is, no, don’t wear socks because they can look a bit ridiculous with boat shoes and, besides, socks aren’t your best choice when you’re on a wet boat deck. That doesn’t mean you shouldn’t ever wear socks with boat shoes. If you do, however, make sure your socks are dark and that you’re wearing long pants and not shorts. It’s also a good idea to get no-show socks to keep your ankles bare but help absorb the sweat that emanates from bare feet. No-show socks are particularly important for when you wear boat shoes with a lower vamp. Boat shoes for work, or not? Not. Even if your office has a smart casual dress code, boat shoes don’t give off the right vibe in most office settings. They can make you look like you’ve already got one (boat shoe-covered) foot out the door as you fantasize about your evening boating trip or golf game. You’re better off wearing loafers, instead, or even a stylish leather sneaker. Moreover, leave the boat shoes at home if your wardrobe includes a necktie. Your boat shoes should provide a contrast to the color of your pants. They should be darker than your pants, not lighter, and never of the same color. The color of your boat shoes is less important if you wear jeans or navy pants. Boat shoes provide an easy swap for sneakers when you need something a bit dressier to go with casual clothes. They look great with polo and button-down shirts, as well as when paired with nice jeans and khakis. Boat shoes look best with pants that have well-fitted, tapered, or straight leg bottoms, as well as with tailored shorts. Your shoes will look a bit odd in which the only the toes are sticking out from wide pant legs. Speaking of pant leg bottoms it’s similarly important to make sure they just reach the top of your boat shoes (skimming them, at the most), because you want to show off your shoes’ distinctive detailing. You always roll up your pant legs a bit, but don’t go overboard. Boat shoes are no different than any types of shoes or boots: you need to take proper care of them if you want them to last. There’s nothing too complicated about it, but remember that a bit of preventive medicine now will prevent a sick-looking pair of shoes in the future. Taking care of your leather boat shoes is especially important if they’re exposed to a lot of saltwater and sun, and you always want to keep them free of dirt and dust. Canvas boat shoes are even machine washable if they don’t contain any leather. It’s safer to hand wash them, however. Use a leather or suede brush, depending on your shoe, to gently wipe away excess dirt and dust. 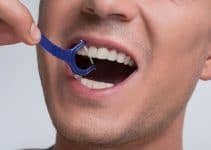 Brush in the same direction, especially if they’re suede, while being careful not to scratch or scar the leather, and use a brush with soft bristles. It’s also important to brush debris from your shoes after every use, not just before you put them on. You can also clean suede shoes by sprinkling cornmeal on their surfaces and then massaging it into the leather with a circular motion. Take care to use cream or paste polishes, rather than those made of liquid, when caring for boat shoes consisting of smooth leather. You also want to avoid polishes that contain alcohol (which is said to dry shoes faster) because they can make the leather brittle and cause it to crack. It’s not a bad idea to remove the laces from your shoes before applying products; doing so helps keep the laces from fraying. Let the polish sit on your shoes for around 30 minutes before buffing them clean with a dry cloth. 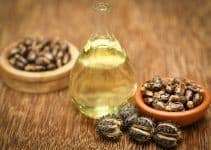 Use oils and conditioners designed for leather to help prevent your shoes from becoming too dry or brittle. Conditioning your shoes also helps restore the leather’s luster over the long haul. You only need to condition your boat shoes after every other time you polish them, perhaps even less in moist climates. Let your shoes naturally dry when they become wet, whether it’s from sea or lake water, or sweat. But never leave them in direct heat or sunlight to dry (such as near a heating event), because this can easily cause them to dry out and become brittle, and even shrink the leather. It’s also important to clean the soles of your boat shoes and you can easily do so by using a clean toothbrush and soapy water. Another thing you can do to extend the life of your boat shoes is to store them properly after every use. A shoe tree, which will maintain the shoe’s shape, is your best bet for storage. Shoe trees also absorb moisture that’s within the shoe, and you can stuff paper towels into the shoes’ toes to help them maintain their shape. You’ll also help preserve your shoes by using a shoe horn every time you put them on; doing so maintains the structures of their backs. We’ve all seen someone wearing shoes that have been slipped on, repeatedly, with the step-and-shove method. A shoe’s back can only take so much. Summer is a time of freedom. You can enjoy the outdoors more, especially if you live in a wintry climate, you can wear less and lighter clothing, and you probably enjoy a greater overall sense of relaxation. It’s also a time when you can wear a variety of shoe types; you can ditch the boots and let your feet and toes breathe. Boat shoes, as mentioned, are an ideal summer shoe option, but certainly not your only summertime option. From loafers to trainers to sandals, the world of summer footwear is your oyster. Boat shoes are the summer shoe choice of many men. They’re also made for the summer made for the summer and typically aren’t ideal winter shoes, unless you live in a tropical climate. You can also wear them in a variety of ways, which we’ll discuss in a bit, including with or without socks. They’re not restricted to use on a boat either, and pair well with a variety of casual clothes combinations. Perhaps the bottom line, as with most other types of summer footwear, is that boat shoes are meant for casual wear. You can wear them any way you like, of course, but they’re ideal for a laid-back, relaxed feel of summer. Loafers and boat shoes are a lot alike in many ways, but they’re definitely two different types of footwear. Loafers are a type of moccasin with a slip-on design and have a small, slightly-elevated heel. Unlike boat shoes, loafers usually don’t include laces and feel not unlike slippers. Loafers come in two main types: the penny loafer and the tassel loafer. The penny loafer comes from Norway and offers a versatile summer (or any season) option that’s even suitable for some dressier occasions. Men often wear them in less casual work settings and it’s hard to beat their comfort. Tassel loafers have a dressier look than penny loafers and pair well with a nice blazer. Make sure that the break of your trousers doesn’t cover any part of the loafer. Sandals go back a long, long way; like back to cavemen, cavewomen, and iconic religious figures, but remain ever-so relevant today. In many ways, sandals are the ultimate men’s summer shoes. They feature an open toe, (very) relaxed fit, and are great for the beach or lounging around the backyard on a gloriously gorgeous summer day. Most sandals don’t provide the grip of boat shoes, however, and you need something a bit sturdier if you plan on walking a greater distance than, say, from your kitchen to your pool deck. Trainers, which you can wear for athletic activities or a night of club-hopping, are a highly-versatile option. It’s wise to wear trainers and canvas shoes with socks, however, unless you’re a fan of blisters, which we think you’re not. Espadrilles originate from Spain and have become a popular summer footwear option for many men. Espadrilles usually consist of canvas or cotton fabric and have a slightly-elevated heel, if they have a heel, at all. They can also have open or closed toes. They’re ideal for chilling in a local park or at a summer cookout, or for a shopping trip, and they look great with skinny jeans or a fashionable pair of shorts. If you’re not into trainers or espadrilles, then you may want to give plimsolls a try. Made of canvas, they’re ideal for summer and offer a laid-back alternative to brogues and other dressier options for summer shoes. Plimsolls go well with denim shorts, by the way. Among the main criteria, we used for choosing the best boat shoes for men in 2019 were comfort, traction, and design. Those are three important elements of any quality boat shoe, or for any type of shoe for that matter. But traction is a biggie with boat shoes, especially if you plan to wear them as they were originally intended – on a wet surface such as a boat deck. We also looked at price, durability, and the reviews of others. A lot of other boat shoes are worthy of our list, but we think the ones we chose offer a variety of buying options. What are your thoughts? What’s your favorite pair of boat shoes? Have you worn any of the shoes on our list? We welcome your comments and suggestions.